This is the time when the Church celebrates the cross and exaltation of Jesus in His resurrection and ascension. In so doing, the urgent words He spoke to the disciples in the hours before His suffering began are often overlooked. It is in those words He spoke in the Upper Room that defined what His suffering was to bring about – the character of our new life in Him. 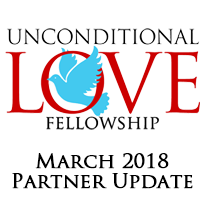 He begins the teaching with the command to love one another as He has loved us – this is what the new life in Christ, eternal life, is all about. It is amazing that it is rarely talked about as the expected possible way of life for all believers! In my message to you this month I take you through the words of the text to see exactly what Jesus was saying. This may be one of the most important messages I have shared with you. And speaking of the words of Jesus as He described this new life – let me introduce you to a new series that unpacks all that He said concerning the Holy Spirit. We released a CD series at the December retreat that many of you have not heard about. Nancy went through hours of my teaching on the Holy Spirit and found the twelve hours that summarize everything that I teach about life in the Holy Spirit. It is twelve hours of teaching, The Best of Malcolm on the Holy Spirit. If you have been around me for any time you will know that I depend upon the Spirit to enlighten, to teach and explain, to be the resident power and ability to live life – without Him in our lives there is no Christian life! These twelve hours cover a Bible school on the Holy Spirit in the language of a person who is hungry to know and receive all that is theirs in Christ. You can order it today while we have a special sale: 10% off + Free Shipping on this series. Order online or call Cindy at the office for details at 830-460-4000. We had a very wonderful Bible school at the beginning of this month – I felt a kinship and communication with the students rarely felt. Thank you for your prayers that made the school all that it was. I want to remind you again that we are in the first stages of producing the Bible School Modules online that will enable those of you who cannot come to a live school in San Antonio to study exactly the same material as we study in the live classes. We anticipate students joining us from around the world. Let me emphasize that we are in the first stages of this project and we do not have a finish date so please do not call the office – you will be the first to know when it is ready. I announce it now because we need your prayers as we are engaged on a very large task of creating the online course. Thank you in advance for the gifts of your love that you will be sending in April. You enable us to continue sharing the life transforming news of the love of God. Let me say with force– your giving is not merely dollars to support an organization. Every dollar that you send is the love of God clothed in finances and wrapped in prayer – the gift of your life joined to the Holy Spirit and sent forth to world. You and I, along with every other partner do more together than either of us could do alone in our wildest dreams. In your monthly giving you are part of my voice carrying God’s love in Christ in the power of the Spirit to the world. Download this month’s MP3 Here or Click Here to listen to it streaming online .